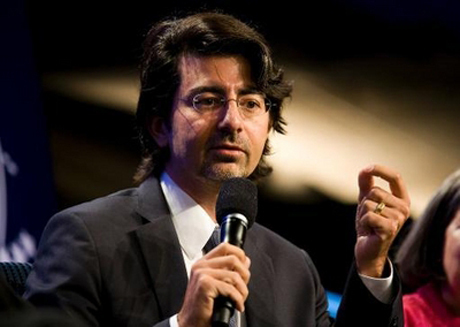 WASHINGTON: The founder of eBay, Pierre Omidyar (pictured), has said he will back a project with investigative reporter Glenn Greenwald which "elevates and supports" journalists and "allows them to pursue the truth." Omidyar said in a statement he is backing the media project, details of which are still being developed. It will be separate from his philanthropic efforts with Omidyar Network and Democracy Fund. The announcement came a day after Greenwald, known for breaking many stories about US surveillance programs, announced he was leaving The Guardian for an unspecified "dream" job. Omidyar, a French-born Iranian-American, cited his "growing interest to preserve and strengthen the role journalism plays in society," and noted that he "explored purchasing The Washington Post over the summer" before Amazon founder Jeff Bezos sealed a deal for the daily. "That process got me thinking about what kind of social impact could be created if a similar investment was made in something entirely new, built from the ground up," he said in the statement. "Something that I would be personally and directly involved in outside of my other efforts as a philanthropist." Omidyar said he was still in "the very early stages of creating a new mass media organization. I don't yet know how or when it will be rolled out, or what it will look like." But he added that "it will cover general interest news, with a core mission around supporting and empowering independent journalists across many sectors and beats." "The team will build a media platform that elevates and supports these journalists and allows them to pursue the truth in their fields. This doesn't just mean investigative reporting, but all news," he said. Omidyar said he contacted Greenwald "to find out what journalists like him need to do their jobs well" and discovered that he was set to start a project with colleagues Laura Poitras and Jeremy Scahill. "We had a lot of overlap in terms of our ideas, and decided to join forces," Omidyar said. New York University journalism professor Jay Rosen said on his blog that Omidyar told him the project would be "a company not a charity" and that he was prepared to invest at least $250 million.